Stripe navy cushion with large applique star and option to personalise with name or initial of your choice. 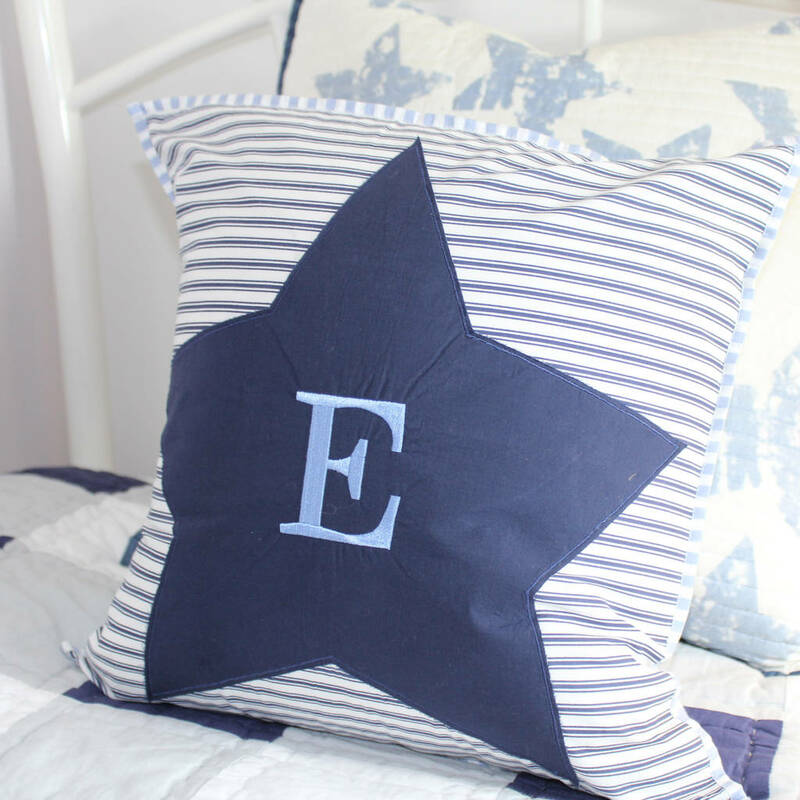 Part of a new and exclusive limited edition boys nursery collection designed by Lime Tree London. See our store page for the full collection. 100% soft percale cotton with feather inner. This product is dispatched to you by Lime Tree London.